Right now I’m having a panic attack that literally came out of nowhere. Seriously. I have no clue why I’m having it or what’s causing it. I do know I hate it and want it to go away ASAP. Please? You can’t tell how bad I’m typing because thank God, I have Grammarly watching my back, but just in these first paragraphs, I have six red lines under words. I’m not sure why because my hands aren’t shaking, but the mistakes are happening. Apparently, that’s what happens when I try to write my way through a panic attack. This is the first time I’ve attempted writing and panicking at the same tine in quite a while. I guess we’ll see how this turns out. See the blurry foot above? That’s how the world looks to those of us on the spectrum when we’re having a panic attack. Nothing is clear. Everything seems like it’s in a haze. Sometimes things even seem like they’re in fast forward, even though they’re not. Life is rolling along at normal speed and I can’t speak for all Aspie’s, but for me, things can flip from normal to hyper speed to slow motion, all in a moment. So why am I having a panic attack right now? I have no clue. This one literally hit me out of nowhere. I never saw it coming. One minute I’m sitting calmly, reading a great book and the next; my heart is beating out of my chest, I’m waiting for the proverbial other shoe to drop, my head is spinning and I can’t find a way off the ride. I’ve tried all the normal things to calm me down, including breathing exercises, different relaxation techniques, putting on some meditation music and trying to focus my brain. Things are starting to work, just not as fast as I’d like them to. I even tried taking a hot shower and letting the water run over my knotted muscles. I haven’t had a really major panic attack like this one in a long time, which, when you think about it, I guess is good, but still, a panic attack, is a panic attack. Living in Southern California where it was sensory overload on steroids, panic attacks were far more common for me, but since moving to the Ozarks fourteen months ago and being around nature, things have been a lot better. I’m still trying to figure this one out and I know from previous experience it’s not going to just magically disappear. The chamomile tea isn’t hurting the situation any, so that’s at least a start. 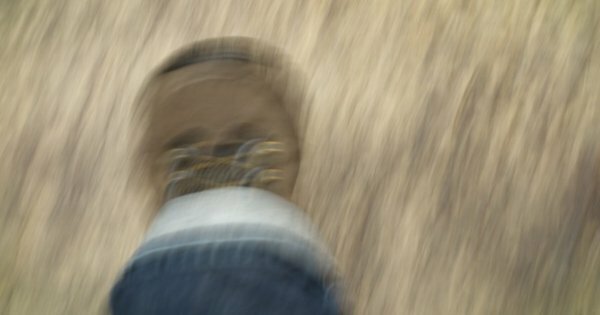 How a panic attack rears its ugly head and how it affects an individual on the spectrum is different and almost unique to each of us. How we deal with them is also a bit unique, but there are a few time-tested ways to help ease the panic once the attack sets in. 1. The first thing and the most crucial thing is to just accept the attack and don’t try to fight it. If we try to fight it, it’s only going to get worse, as we now have the panic as well as the fighting going on inside our bodies and our minds. Dealing with the fact that it’s happening isn’t the same thing as liking it, but accepting that it’s happening and you’re not going to snap your fingers and make it go away is the first step in controlling it. 2. Get comfortable and deliberately slow your breathing. It sounds old and cliché, but it works. Breathing in through our nose and out through our mouth is a good way to slow down the attack. The breathing by itself isn’t likely to make it go away, but it’s a good start to getting it under control. 3. Heat up some essential oil that calms you or light up a stick of incense and put on some calming and relaxing music at a low level. The smell of something soothing, I personally like jasmine or lavender, along with some quiet, calming music will help focus your mind on something other than the panic attack. 4. 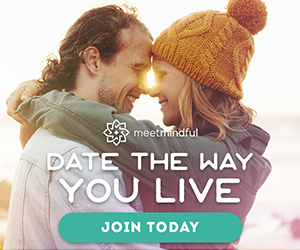 If you meditate, now might be a good time to do so. If not full-on meditation, at least put on some meditation music and, again, slow down your breathing with the sound of the music and see if that will help you relax. It generally works for me, though I still have a hard time learning to fully meditate. 5. Try doing something you find relaxing. Despite the earlier mention of somehow misspelling a ton of words while writing this, writing does help me relax and so far seems to be helping. As people on the spectrum, it’s not a matter of if we’re going to have another panic attack, but rather, when the next one will strike and how severe it will be. Generally, we can avoid them by watching for our personal triggers and avoiding overstimulation and sensory overload, but as tonight proves, not always. Knowing how you personally best handle a panic attack is a valuable tool to have at your disposal and if you have a loved one that is nearby, such as a significant other, good friend, parent or sibling, be open and honest with them about your panic attacks. The more they know how to best help you control them is something I definitely recommend sharing with them. The benefits of this are twofold. It helps them to get to know you a little better and when the next one strikes, you have someone in your corner who can help you stave it off. What tends to cause panic attacks in you and how do you get rid of them? Share your stories in the comment section below and let’s start a discussion. 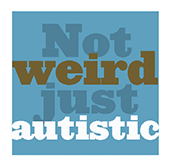 A previous version of this post was originally on Not Weird Just Autistic, April 27, 2018, and is used with permission of J.R. Reed.